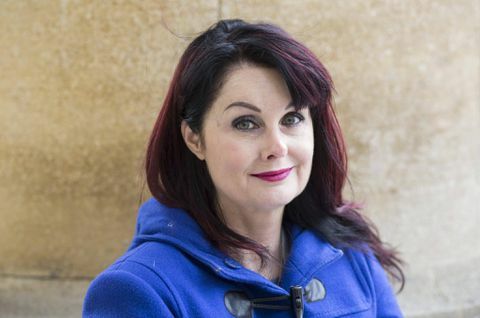 Marian Keyes is the bestselling author of more than 20 works of fiction and non-fiction, including Watermelon, Lucy Sullivan is Getting Married, Rachel's Holiday and This Charming Man. Her books have sold more than 30 million copies and been translated into more than 30 languages. Keyes, who lives in Dublin, recently published a new novel, The Break. I'd read various magazine articles about people in mid-life, in long-term relationships taking "marriage sabbaticals." Apparently the syndrome is a response to our increased life expectancy in the Western world, where you may love your partner and intend to live out your days with them, but at the same time you want a period of time-limited freedom. Some of the sabbaticals I read about were entirely benign – the person would travel or go away to volunteer or learn something new. But in other cases, people wanted "sabbaticals with benefits" – which personally filled me with horror, but it seemed like an interesting thing to write about and a new spin on the much-mocked mid-life crisis. Where did you write this book? At my desk in the spare bedroom in my house in a suburb of Dublin in Ireland – all very prosaic, I'm sorry to say. Write your book as if no one is ever going to read it. Because then it frees me up to be entirely honest, to explore every uncomfortable emotion that my character might have. It means my characters can be flawed, unpleasant, unlikeable even, but they're far more likely to be authentic – and if they're really monstrous I can address it during the editing. Which book got you through the darkest period of your life? Sorry if this sounds like bragging, but when I was going through a lengthy spell of horrible depression, which started in 2009, I started writing a book in which I gave my terrifying state of mind to my character. It took me about two years to write – it's called The Mystery of Mercy Close – and it was a huge relief to me because I was able to articulate how depression actually felt and how different it was compared to how I'd always been told it felt. (I thought I'd feel sorrowful or numb but instead I felt extremely fearful.) I also found it a comfort that even though progress was painfully slow that I could still write – in spurts – and it gave me hope that one day I'd be restored to myself. Which I was. Hurray! Is there a book you consider a guilty pleasure? Oh, the end! Without a doubt! A book can start in a hundred different ways and none of them are that important. So long as it hooks the reader, then it's fine. But endings, well, you can really only have one. And it's got to be good. The reader has travelled a long way with the characters and plot and needs to leave with a sense of, "Okay, I like that and I believe that." I find endings fiendishly difficult, which is why I usually cheat by doing an ending, followed by an epilogue. What are you like to be around when you're writing? Easily distractable. Extremely easily distractable. Where do your breakthroughs come? On long walks on flat ground. I'm very specific about this, if there's any uphill parts of the walk, it makes me bad tempered. I live near the sea, which is nothing like as romantic as it sounds, but there's a town and an old ferry port and two flat piers, each a couple of miles long. "Walking the pier" is a thing – kids rollerskating or people taking their dogs out or the likes of me, marching along, my husband in tow, as I talk "at" him. I talk out all the tangled snarly plot or character stuff in my head and he's not obliged to say anything and usually by the time I get home, some things are clearer.